But in fact, the St. Antony’s College scholar argues, the events of 1953 are more significant not just for the 40 years that followed and the way the Soviet Union ended but also for the mistakes that Vladimir Putin’s regime is making and the consensus that is likely to emerge in the coming decades (novayagazeta.ru/politics/59626.html). Pastukhov begins his argument by suggesting that “the extraordinary ease” with which the Soviet empire came apart in1991 was less about the decisions taken by Mikhail Gorbachev or anyone else than an event “pre-determined by another revolutionary turning point which happened 40 years earlier, following the death of Soviet dictator Joseph Stalin. 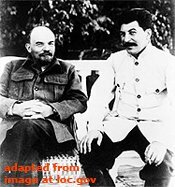 Stalin died without having chosen a successor, and consequently, “at the top of the pyramid of power, there were several leaders, each of which in equal degree could compete for the top post.” But what determined the outcome of that fight were less the personal characteristics of the two most significant figures than the very different attitudes they had toward the revolution and the use of force. The widely-accepted image of Lavrenty Beria as a primitive savage drenched in blood as one of Stalin’s chief executioners and Nikita Khrushchev as a willful but clever initiator of “‘de-Stalinization'” are not only “far from reality” but get in the way of understanding what happened in that year and in the decades that followed. Beria was a complete cynic who was prepared to adopt any policy as long as it helped preserve what he considered the most important thing “the holy right to the use of terror” as the chief mechanism of power and something all the other leaders at that time feared with good reason that he would use against them just as Stalin had. Beria was “prepared to sacrifice the banner of the revolution in order to preserve force,” while Khrushchev preferred to preserve “the banner of the revolution by sacrificing the spirit of force of this revolution.” Neither man would have recognized this, but that is irrelevant to an understanding of what they did and how their actions mattered. “The Soviet system was for a sick Russian society functional in the same way that drugs are for a sick individual.” They kept the pain at manageable levels, but “when the drugs ceased to work,” the whole structure collapsed and the country had to begin again to face “the unresolved tasks” of the 1917 revolution.